This time, we feature some useful new guides to assist you in planning for the end of the tax year as well as making a review of topical cases. Modern accounting software allows you to produce a set of accounts for any accounting period. When you set up the package it normally requests an accounting period end and this usually works quite well unless of course you want to vary your accounting period. Some software is easier to change than others. If you modify an accounting period it is advisable to be wary as to how the tax rules interact. In the Rupert Grint case, reported below, we note a further issue for self-employed persons. If you change your accounting date, then you need to ensure that the final versions of the accounts (for tax) are the ones approved as the accounts of the business. Do not simply rely on your client approving a tax return declaration which specifies accounting dates. I note that some accounts preparation software allows you to print off sole trader accounts without the business owner approval page, that's interesting. Use our MVD tool to check whether you have to join, whether any exemptions apply and whether you are eligible for deferral. What is the optimal monthly or weekly salary that can be paid by an employer without incurring a liability for the employer or employee for National Insurance (NICs)? NEW: Guide as to whether it is better from a tax perspective to extract corporate profits as salary or dividend. UPDATE: The deadline for cleansing mixed funds is 5 April 2019. With that in mind we have added to this section of our guide. UPDATE: With the tax year drawing to a close now might be a good time to review planning for clients at marginal rates. Distributions on winding up? Our new tool helps you work out when distributions should be taxed as income and not capital. Planning ideas to mitigate the top rate of tax. In Rupert Grint v HMRC  UKUT 0028 the Upper tribunal upheld the decision by the FTT that the Harry Potter star Rupert Grint did not meet the requirements for a change of accounting date for tax; his accounting period was too long. 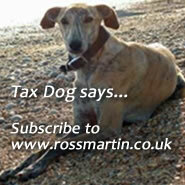 UPDATE: We often get asked about VAT on property and construction works. This guide provides an outline of the VAT treatment of some of the more common supplies of land and property. Where a transaction comprises several different elements it is important to consider whether, for VAT purposes, it is a single supply or several distinct supplies bundled together. This guide sets out how to go about it.